“There’s nothin’ better than alone and stoned,” Kyle Thomas sings on the second song of his self-titled sophomore album. 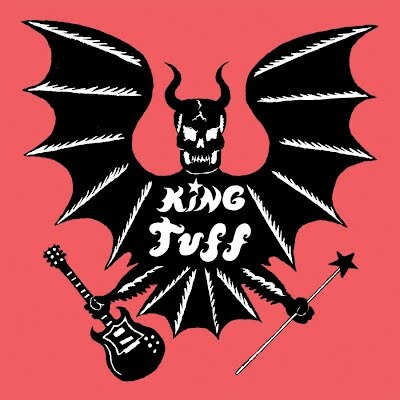 “Listenin’ to music on your headphones,” he continues the line, and it might as well be the modus operandi of his Sub Pop debut as King Tuff. Used to be, the man with a penchant for glammed-out, lo-fi pop perfection played his should-be hits for a select few; now, Thomas has a legit producer and a much-bigger set of songs to show for his efforts. The results, especially when they give equal time to his natural charm and knob-twiddler Bobby Harlow’s clearly natural talent (“Keep On Movin’”), are nothing short of spectacular. Moreover, there’s a sense of wing-spreading throughout this record, which is no small feat for the ADD-afflicted Thomas, who moonlights in a myriad of bands, from the also-Sub-Pop-affilliated Happy Birthday, to the folk-influenced Feathers and the metal-by-way-of-J-Mascis’-drumming Witch. On King Tuff, anthemic, Weezer-esque rock (“Bad Thing”) happily cohabitates with rollicking country jams (“Baby Just Break”) as if all these styles should just hang out on the regular. Thing is, the world would be a whole lot better if they did.